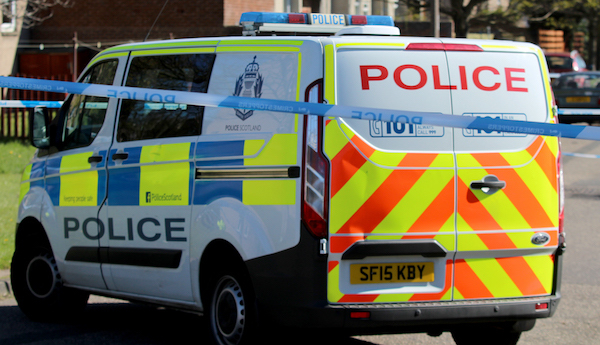 Police Scotland is appealing for information following a fatal road traffic collision on the M90 near Rosyth on Saturday, June 18th. At around 8pm, a Citroen C4 was involved in a collision with a Land Rover Discovery on the southbound carriageway north of Junction 2. Sadly, the 29-year-old female driver of the Citroen was pronounced dead at the scene. The female driver of the Land Rover was transferred by ambulance to the Victoria Hospital in Kirkcaldy where she remains in a stable condition. Meanwhile, a 5-year-old girl and 18-month-old boy, who were travelling in the same vehicle, also required hospital treatment. Neither is believed to have sustained life-threatening injuries. Road policing officers closed the carriageway between 8pm on Saturday until 7am on Sunday to allow collision investigation work to be carried out. Police are currently working to establish the full set of circumstances that led up to the collision and are today appealing for witnesses to come forward. Sergeant Derek Allan of the Road Policing Unit based at Glenrothes said: “Sadly, a 29-year-old woman has died as a result of this collision and her next of kin have been informed. “A number of motorists have already come forward to assist us with our investigation and I thank them for their cooperation. Those with information can contact police on 101.